Deortegas is one of the highest quality unfiltered organic extra virgin oils that we can find in the market. 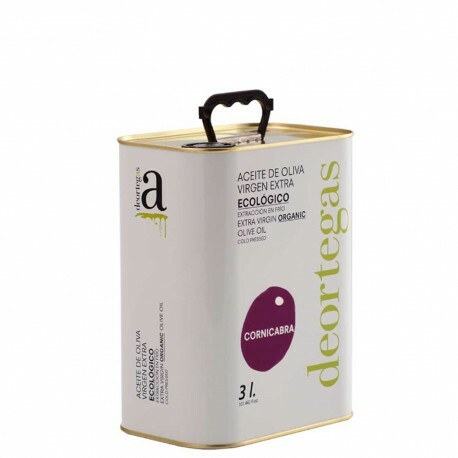 The well-made work of the oil mill Deortegas (Murcia) has brought with it this excellent picual variety oil whose tasting note shows characteristics worthy of the best oils in the world. The can format allows you to enjoy the quality of this oil for a longer time, it also conserves the characteristics and properties of the oil for a longer time, protecting it from light and heat better than other formats. Extra virgin varieties of cornicabra tend to be very fruity and aromatic and very stable due to their high content of fatty acids. Deortegas Ecológicos presents a medium bitterness and spiciness, sweet when entering the mouth, bitter to green leaves and medium spicy as it passes through the throat. Ideal for those who do not like too much intense oil. Being an oil with great stability due to its high content of monounsaturated fatty acids is an oil highly recommended for diets and helps keep cholesterol and triglycerides at bay. No doubt a great ally that reduces the risk of cardiovascular disease. 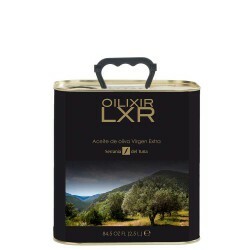 In Cincolivas we recommend the use of this nutritious oil for salads, sausages such as jerky or cheese and even for stews. Try it, you will love it!